your Social Media accounts of choice. 2. 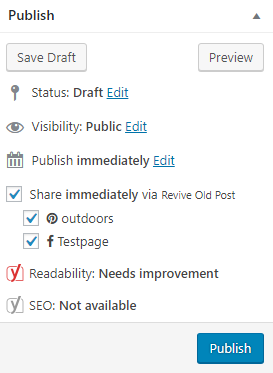 Go to General Settings on the Revive Old Posts dashboard and turn on the Enable Instant Sharing option and save your changes. Note: The posts will be added to the sharing Queue of the plugin in the background and will share the next time the WordPress Cron hit. 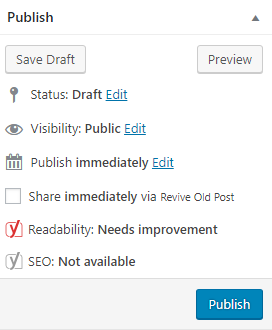 The checkboxes will remain checked until the posts are shared. Once shared it will show up in the log and the checkboxes will revert to their unchecked state. Love this new feature? Be sure to leave us a positive review on the free plugin on WordPress.org, go here.